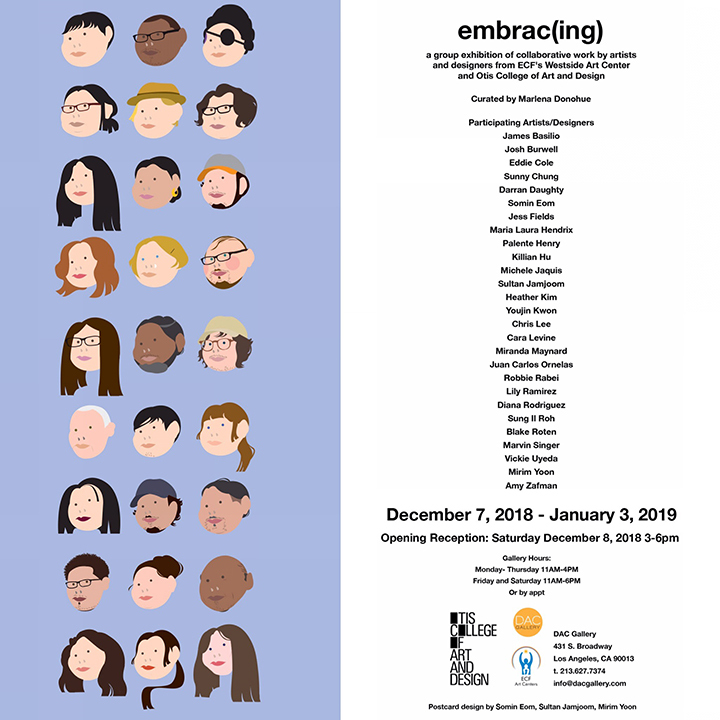 Collaborative work made by artists from ECF Westside Art Center, my students and I are on exhibit at DAC Gallery Dec. 7, 2018 - Jan. 3, 2019 - the third annual collaboration between my Uniquely Abled class in the Creative Action Program at Otis College of Art and Design and the Exceptional Children’s Foundation (ECF) Art Center Westside, a program that mentors adult artists with developmental disabilities. Read the full press release here. Also as part of Maiden L.A. 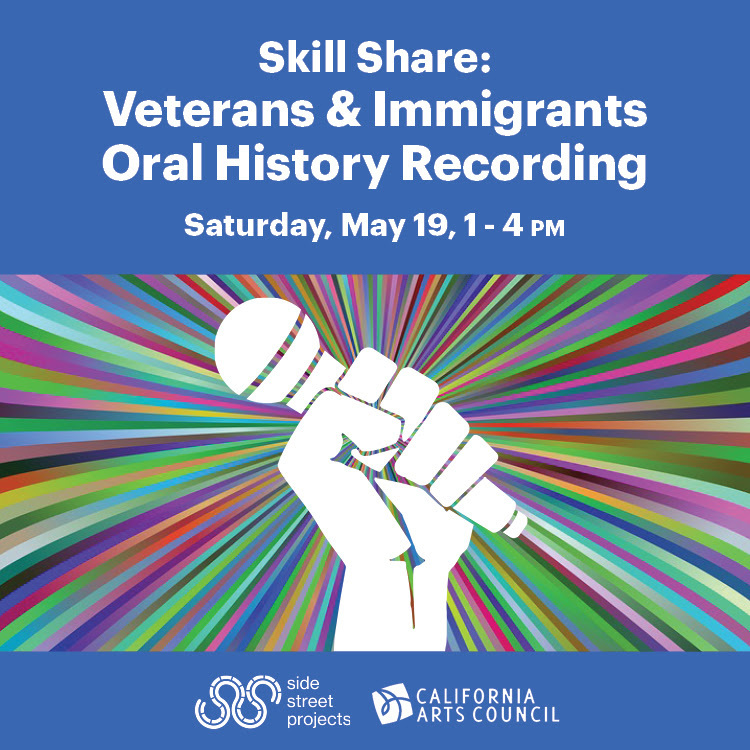 I am facilitating an oral history recording workshop for my podcast series, We Are All Americans. Come share your story. More details here. As part of Maiden L.A. Jeremy J. Quinn, Marc Ericson and I are having an open studio this Saturday, Aug. 18th from 7-10pm. Come visit and see what we've been making. More details here. My 2013 video, Things We've Heard, made in collaboration with Juna Amano, Rosalyn Myles and Marissa Magdalena Sykes, will be included in the LAUNCH LA open call exhibition, Intersections at the Korean Cultural Center Los Angeles. Opening reception is 6:30pm Friday August 17, runs through August 30. More details here. 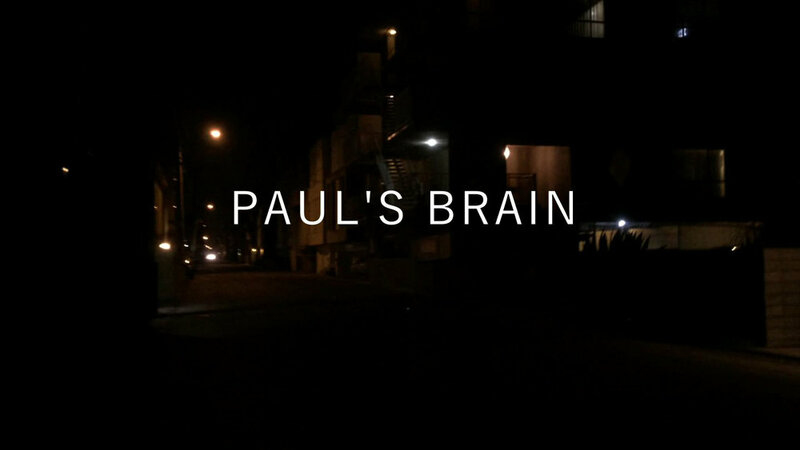 I am honored to have an excerpt of my latest project, "Dearest Pauline," included in Second Daytime, an online exhibition of performance art on video curated by Sarah Rushford for Ortega y Gasset in Brooklyn, NY, through August 2018. Today I will present work my Community Radio students made in response to their workshop with Mexican artist, Taniel Morales, at the CAA panel PACIFIC STANDARD TIME: LA/LA — CASE STUDIES IN TEACHING FROM EXHIBITIONS. After nine years teaching and serving as a full time academic administrator at Otis College of Art and Design, I am officially on sabbatical. Follow me @michelejaquis on instagram to see what I'm doing, making and seeing. 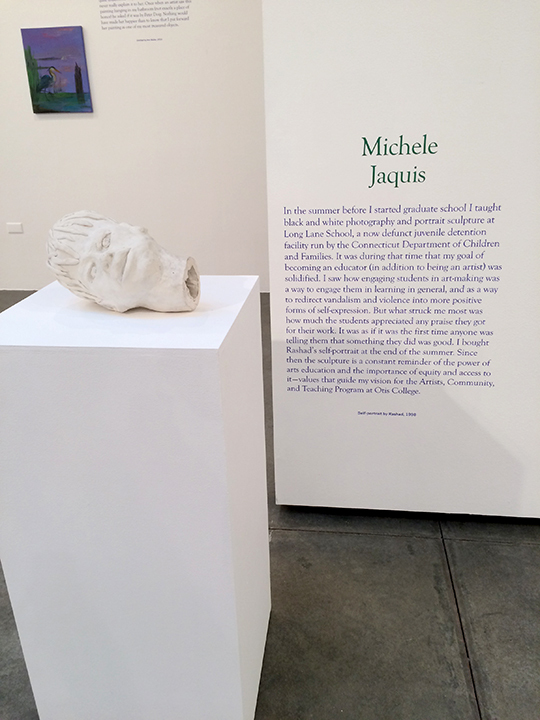 Heading to NYC this week for the College Art Association Conference where I will be chairing a panel on the Pedagogy of Social and Environmental Justice - Saturday Feb. 18, 1:30PM–3:00PM in Gramercy A/West, 2nd Floor at Hilton Midtown. If you're in town come visit. In an exhibition organized by the Association of Hysterical Curators, Jeremy, Milo and I will be screening our video (on a loop) Negotiations, while also performing household, artistic and educational vignettes modeled on the daily routines of our family. Details here. 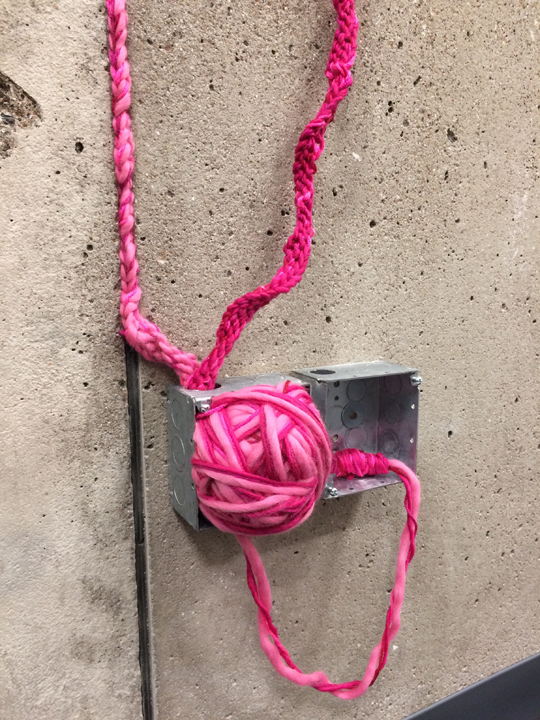 I made a new site specific installation for 2^2 (two to the second power) Gallery, a new tiny gallery at Otis College of Art and Design. It's on view from December 1, 2016 - February 28, 2017. View documentation here. Yesterday I gave a presentation about interdisciplinarity and collaboration (in my own work and how I teach this) on the Design and Complexity panel at the International Council on Design's Educational Platform meeting, held at Art Center College of Design in Pasadena, CA.